From Welfare Weekly: The UK Government has been accused of attempting to “sneak out” further cuts to public health spending as MPs leave Parliament to begin their winter break. Analysis by the Labour Party, backed up by the House of Commons Library, reveal that public health budgets will fall by £85 million next year, equal to £2 less per head or a drop of 3.3%. Labour say the “devastating cuts” will affect vital public heath services such as stop smoking services, sexual health advice services and drug & alcohol misuse services for children and young people. 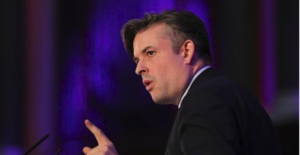 Jonathan Ashworth MP, Labour’s Shadow Health and Social Care Secretary, said: “It’s outrageous the Government have tried to sneak out further devastating cuts to local specialist public health services without debate on the day Parliament rises for the Christmas break. “Only a few weeks ago the Secretary of State told us prevention was his priority and yet today he is cutting specialist public health services by a further £85 million. It’s the clearest evidence yet that ministerial promises on the NHS are entirely hollow. 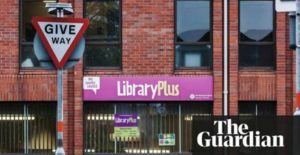 From The Guardian: Almost 130 public libraries have closed in the last year in Britain while an extra 3,000 volunteers have been brought in to run remaining services, as the decade’s austerity pressures see local authorities continuing to apply swingeing cuts to budgets. The annual survey of British libraries by the Chartered Institute of Public Finance and Accountancy (Cipfa) has revealed a similar picture each year since 2010, with the number of branches and paid staff falling every year. Over the last year, spending on libraries by local authorities fell by £30m to £741m. There was a net loss of 127 public libraries in England, Wales and Scotland, while 712 full-time employees lost or left their jobs and volunteer numbers increased by 3,000, to 51,394. “Community-run” library branches have become the norm in the UK as councils ask volunteers to take the service off their books. 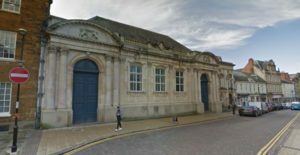 In 2010, estimates from Public Libraries News suggest there were only around 10 libraries in the hands of volunteers; by 2017, the figure had risen to around 500. Cipfa calculations show that 10,000 new volunteers have joined Britain’s library service over the last three years, increasing from 41,402 in 2014-15 to 51,394 in 2017-18. Rob Whiteman, CEO of Cipfa, said libraries were “a canary in the coal mine for what is happening across the local government sector”. 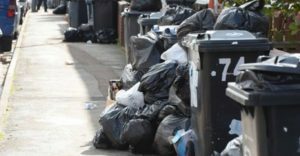 From Morning Star: Tens of thousands of Welsh local authority jobs have been thrown on the scrapheap thanks to Westminster government cuts by the Tories, an “audit of austerity” shows. The Unison Cymru Wales analysis found that since 2010 there have been cuts to 28,100 council jobs, 10 per cent of the Welsh workforce, in the country. Key findings in the audit were that more than 500 jobs have gone in 19 of the 22 councils in Wales. Women were found to be more adversely affected than men, with women losing 18,400 of the cut jobs. 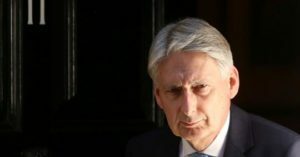 From Daily Mirror: Tory chancellor Philip Hammond is to slash £1.3 billion from frontline council services in the next 12 months. From The Independent: Lifeline addiction support, sexual health clinics and stop-smoking services face cuts of £96m this year after “shortsighted and cynical” reductions to council budgets, Labour has claimed. 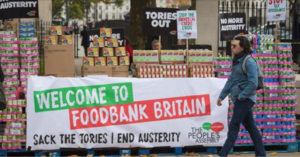 From Morning Star: Britain is on the brink of “social collapse” after “eight years of uninterrupted austerity” caused by brutal Tory spending cuts, Labour council leaders warned today. Twenty-six leaders of Labour-controlled councils have signed an open letter calling on the government to “recognise the catastrophic impact” that #austerity has had on local authorities across Britain. The statement, released under the banner of Councils Against Austerity, says budgets have been squeezed by direct government cuts and other pressures. 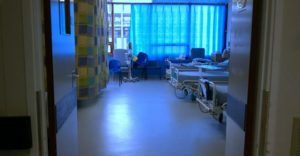 Pointing out that the shortage of funding has had a “disastrous knock-on effect” on services, the council leaders said that nearly half of all local authorities nationwide have experienced serious setbacks in their daily operations and increasing numbers are cutting all services to a bare minimum. The leaders warn that many councils will soon be unable to perform the basic level of service expected of them, with street cleaners, park maintenance workers, library staff and other municipal workers facing an uncertain future. 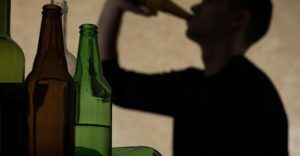 From The Independent: Cuts to council budgets for addiction services have led to lowest number of people receiving treatment for alcohol dependency in a decade despite people in need continuing to grow, data from the Labour Party shows. 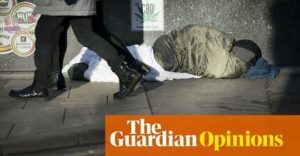 Owen Jones writes in the Guardian… According to a report commissioned by the Lloyds Bank Foundation, almost all the reduction in spending on disadvantaged people has been in the most deprived fifth of local authorities in England. According to Newcastle’s council leader, Nick Forbes, his local authority will lose the equivalent of £268 per household by 2020. In relatively affluent, Tory-held Wokingham, the cut will be just £2. 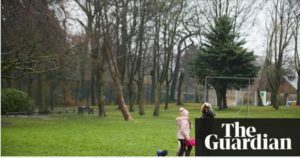 That leaves Newcastle with similar spending power as Wokingham, even though it has four times as many looked-after children and three times as many adults receiving social care. As Forbes puts it to me, if Newcastle wanted to counter the funding collapse by increasing council tax by 1%, it would raise about £1m. The same rise in leafy Surrey might expect to bring in more than £13m. Take Salford, which is in the top 5% most deprived councils, and where rough sleeping has surged by 600% in the last five years. The causes are clear: cuts to council housing, benefits and council budgets. According to the new report, nearly half of spending on preventing homelessness has gone in favour of a 56% rise in spending on homelessness support. From HuffPost UK: Fraudsters are getting a free pass to prey on the elderly and vulnerable due to dramatic cuts to trading standards budgets, the Labour Party has claimed – and things could get worse after Brexit. 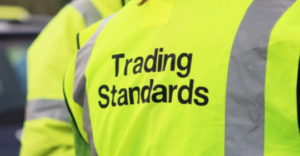 Cash for the council-run service, which protects consumers from unfairness and illegal practices, has fallen from £213m in 2009 to £105m this year, with the number of enforcement officers slashed by 56 percent, according to research by Labour. 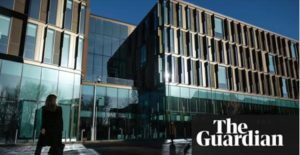 From The Guardian: A Conservative MP has said ministers need to urgently “learn the lessons” from the financial collapse of Tory-run Northamptonshire county council if they are to prevent more councils slipping into insolvency. 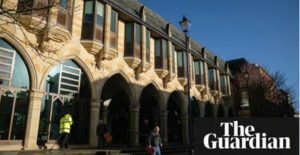 From The Guardian: The most high-profile symbol of the cuts in Northamptonshire to date has arguably the county’s 36 libraries, 21 of which the council wants to close or sell. There is popular outrage at this, not least in Northamptonshire’s more well-heeled rural areas, making its Tory MPs nervous. The proposal is being challenged in the courts. Less well known is that 19 of the 21 libraries under threat host early-years children’s services such as mother-and-baby groups and health visitor sessions. These services were moved into libraries two years ago when an earlier round of cuts closed several SureStart centres. Where these services will go now is unclear. Northamptonshire’s cuts will be felt in even its leafiest and most prosperous areas. Dig into the council’s cuts plans and you find an axe taken to highways budgets – less pothole filling, winter gritting and traffic light maintenance. The council expects legal challenges to these, too. 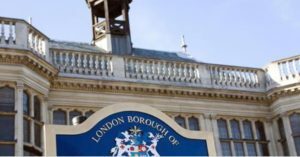 From The Independent: A Conservative-led council has taken the unprecedented action of imposing emergency spending controls for the second time in six months after projecting a budget shortfall of up to £70m. From The Guardian: When Jill White, 53, was diagnosed with breast cancer in 2013, she had three years of treatment, including operations and chemotherapy. 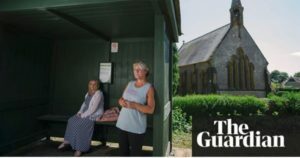 It was a stressful enough experience to go through, but White, who is single and doesn’t drive, also faced a four-hour round trip, on a good day, to get to a hospital that was only 13 miles away, because buses from her village of Tatworth, Somerset only run on average every two hours. White says the service used to be quite good. “When I first moved here 20 years ago, there was a bus every hour, evening, weekend and bank holiday – and they were reasonably punctual. Now they are often 30 minutes late, there are no buses on Sundays or bank holidays – and nothing after 6pm.” White’s situation is far from unique. A report last week by the Campaign for Better Transport (CBT) found that local authority funding for bus routes in England and Wales has been cut by 45% since 2010 and more than 3,000 routes reduced or scrapped. This prompted the Labour leader, Jeremy Corbyn, to raise the bus issue in parliament during last week’s prime minister’s questions, where he promised to “save” the bus industry and give all those aged under 26 free bus travel. From The Independent: Local councils face a funding gap of £5 billion by 2020 because of “complacent” government ministers’ failure to plan for the future, an influential committee of MPs has warned. 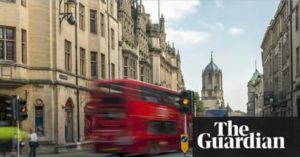 From The Guardian: Campaigners have called for the government to act to help dwindling bus services, as a report showed council funding had almost halved since 2010. Budgets to subsidise routes were reduced by another £20m last year and 188 services were cut, according to the Campaign for Better Transport. Its Buses in Crisis report found that squeezed local authorities across England and Wales had taken £182m away from supported bus services over the decade, affecting more than 3,000 bus routes. Council funding has preserved funding for services, particularly in rural areas, that private firms have deemed unviable, and where no alternative public transport exists, accounting for more than one in five journeys. But most either cut funding – or spent nothing – last year. From The Guardian: England’s county councils have warned ministers that the “worst is yet come” over cuts to services and that several authorities risk going bust unless steps are taken to shore up budgets. Only an emergency injection of funds next year to counter a growing financial “black hole” would head off severe cuts to services and potential unrest among MPs, the County Councils Network said. It said councils faced having to make “truly unpalatable” cuts to key services such as social care, refuse disposal, libraries, Sure Start centres and roads maintenance while putting up Council Tax bills and introducing new charges. 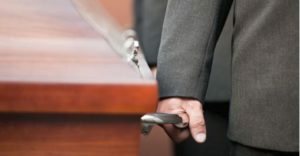 From The Independent: Some of the UK’s poorest people are being barred from attending the funerals of loved ones as part of council cost-cutting, it has been claimed. From The Guardian: Analysis shows the financial predicament facing councils across England. Government funding has fallen by nearly 50% since 2010. 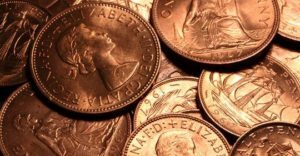 Combined with increased demand for adult and children’s social care and homelessness services, as well as paying higher national insurance contributions for staff, growing numbers of unitary and county councils are relying on their reserves to balance their budgets. From the Daily Mirror: Councils are on the brink of going bust as a bombshell report today reveals the Tories have slashed their funding by 50% since coming to power.